For a long time, parvoviruses were mostly known in the field of veterinary medicine. Interest in these viruses broadened, however, after it was shown that one member can be harmful to humans and that some of them are endowed with oncosuppressive properties. More recently, parvovirus research received a further boost upon the realization that these agents have unique properties that make them especially suitable as vectors for a number of gene therapy applications. This timely book provides an up-to-date overview of the molecular biology of parvoviruses and their interaction with host cells and organisms as well as their pathogenic effects and potential uses as therapeutic agents. 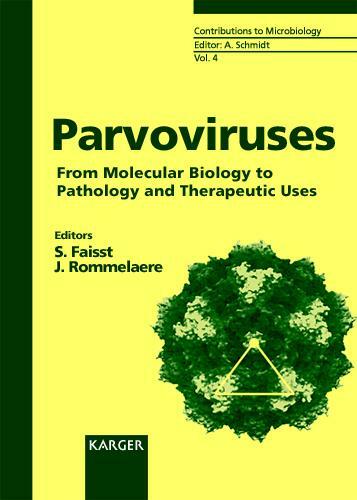 Covering the latest advances in fundamental, clinical and applied research, this book fulfills the important function of connecting the different aspects of parvovirology, ranging from basic laboratory investigations to animal and human clinical studies. Both subfamilies of parvoviridae are considered: the so-called parvovirinae which infect vertebrates and comprise the genera of parvovirus, erythrovirus and dependovirus, and the densovirinae, which infect arthropods. Summarizing recent progress made in the parvovirus field, this volume will be a valuable resource for virologists, cell and molecular biologists, clinicians and pathologists, oncologists and anyone working on gene therapy.